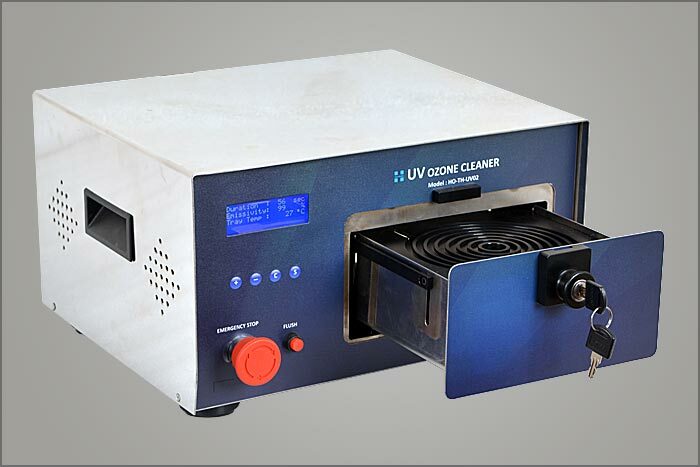 Holmarc offers two models of UV Ozone cleaner, Tabletop (Model: HO-TH-UVT) and Rack mount (Model: HO-TH-UVR) configurations. 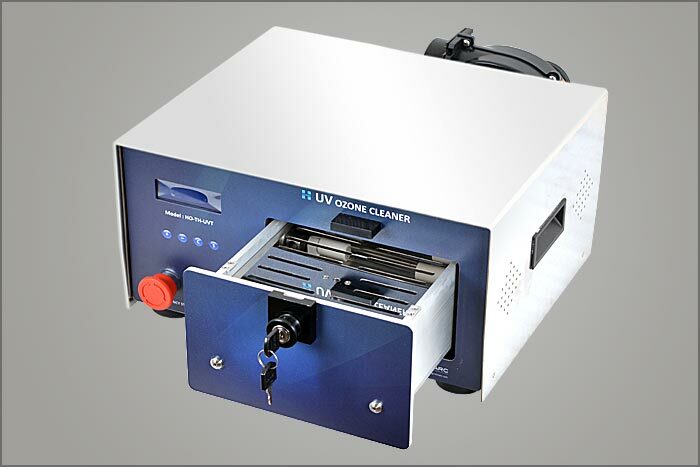 Rack mount UV Ozone cleaner has a front panel that is 19 inches wide. The 19-inch dimension includes the mounting holes with pull handle that protrude on each side which can be fastened to the rack frame with screws. 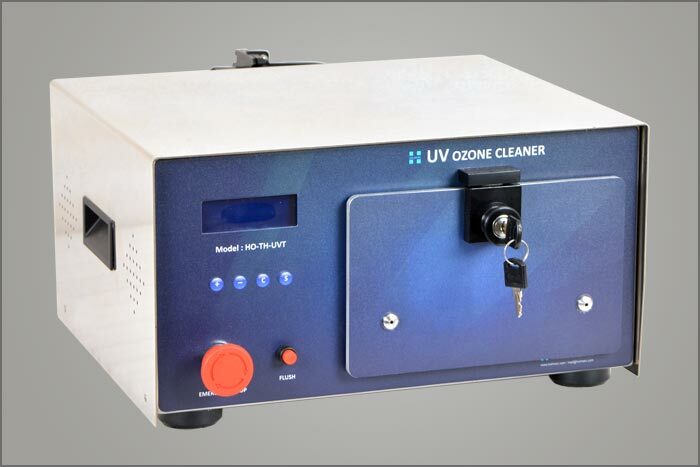 Tabletop UV Ozone cleaner is more compact and can be placed in any available platform. Holmarc's UV Ozone Cleaner is a dedicated system to remove a variety of contaminants from surfaces of substrates samples. UV Ozone cleaning is a simple to use dry process which is highly effective method to clean surfaces. The cleaning effect is caused by irradiating the surface of a substrate with suitable lamps creating enough energy in the in the Ultra Violet spectrum range. It is photo-sensitized oxidation process by atomized Oxygen and high reactive Ozone. The UV radiation directly to the surface stimulates the reaction. Volatile hydrocarbon products are produced. The removal of hydrocarbons in nanometer thickness by oxidation results in ultra clean surfaces with significantly wettability. This is very important before thin film coating process of glass and ceramic surfaces. 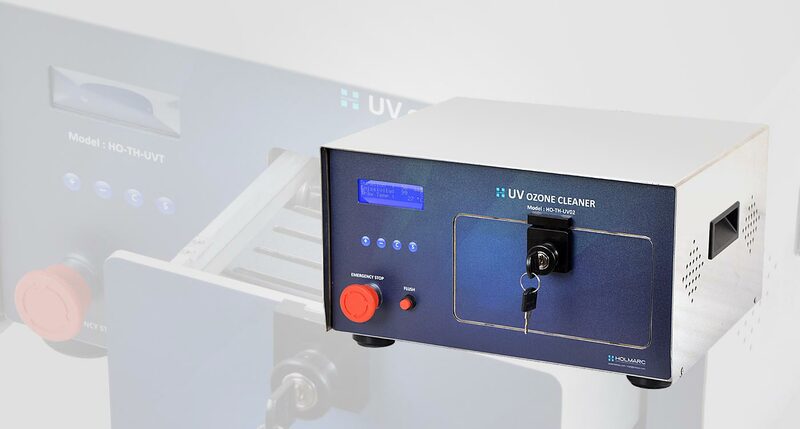 UV Ozone Cleaner features very high ozone UV lamps which generate energy at 185 nanometers in addition to the low 254 nm line. 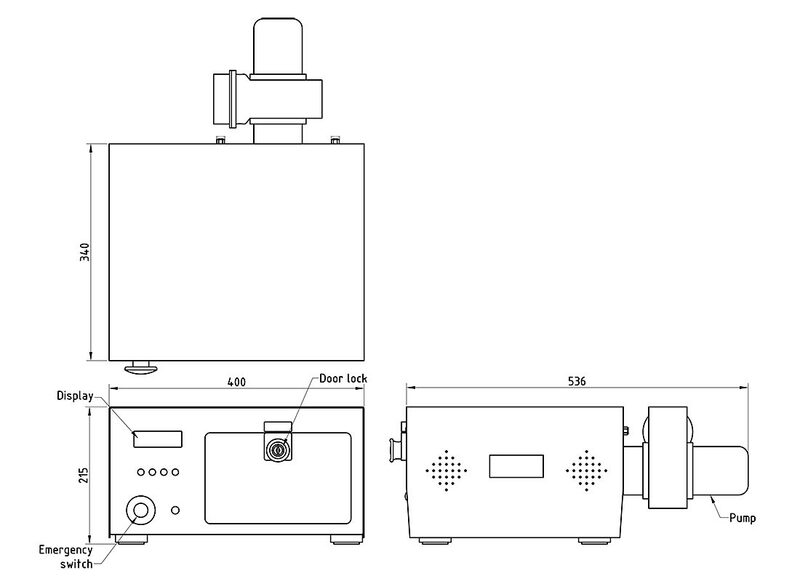 It provides a trey of 176mm x 168 mm dimension for positioning samples under the UV light source. It comes with an exhaust port and inlet media for the circulation of gas in the trey. Emergency stop is also provided on the control panel to stop the equipment where there is any emergency.